Rhodes is a charming island that seems to be in another world. While much of Greece has a distinct ancient presence, Rhodes is part of a unique slice of history that much of Greece doesn’t share. During the Medieval era, the island was the official headquarters of the Knights of Saint John, and there are some areas to explore that focus on that. 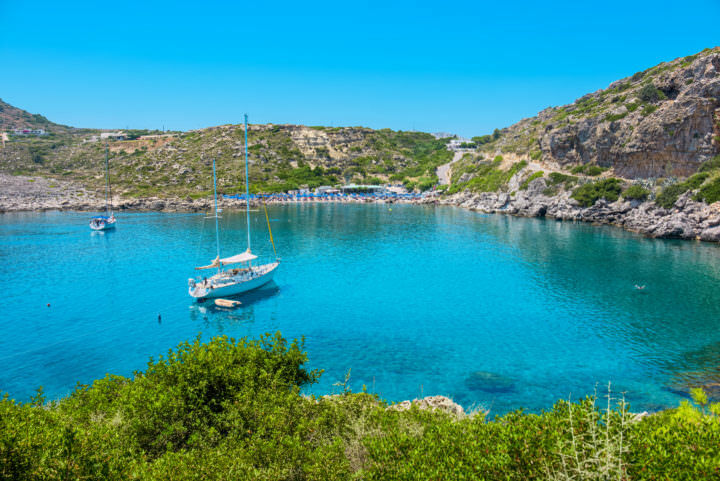 Since Rhodes is a fairly large and also popular island, there are a few choices for how you can get here. First of all, the island is large enough to have an airport. On Rhodes, it is located in the area of the island known as Paradiso. From there, you can rent a car, hire a taxi, or take a bus to wherever it is on the island that you want to go. 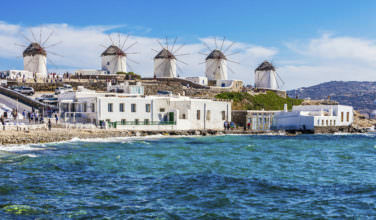 It is also possible to take a ferry from other places in Greece, such as Kos, Patmos, Heraklion, and more. Check the ferry schedules for ore information. Depending on where you’re staying on Rhodes, Ladiko Beach is a fairly convenient choice from most locations. If you happen to be staying in Rhodes Town, you will need to drive about 20 kilometers to get there. It is only about 2 kilometers from a small village called Faliraki. It can be accessed easily from the road and there is a parking lot by the beach. 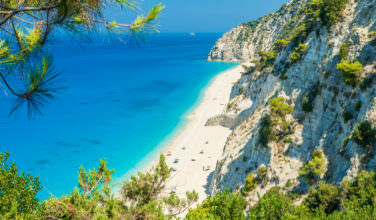 Since it is close to Faliraki village, you may also want to set aside time to visit it after you’re done at the beach. Ladiko Beach is a fairly popular place, especially during the peak summer months. Since it is located right on a calm bay, this means that it is an ideal spot for people of all ages, including families. Since the bay isolates it from the elements, the water is fairly calm and the wind is kept to a minimum. It is a favorite beach on the island for swimming. While here, you will also have the chance to rent sun beds and umbrellas. There also plenty of facilities to make your stay on the beach enjoyable. On thing you will notice while visiting this beach is how beautiful it is. The beach itself is located on a picturesque bay that is surrounded by rolling hills. The water is still and calm and sparkles a crystal blue in the sunlight. The sun itself is warm and inviting, and this is a certainly a great place to spend the day. You can also do sports here, such as snorkeling, diving, or simply going for a long walk. While in the area you will also want to explore some of the nearby villages if you have the time. While visiting Rhodes island, you should spend some time enjoying Ladiko Beach.